The joy of an expectant mother is quite priceless and so we as a dedicated staff of Elkhart Catering look forward to provide top quality catering arrangements to mark such events as a special one. We take the full responsibility of transforming such event into a gorgeous one with our professional efficiency. Clients shall find it hard to complain about our service quality. Our staffs are quite careful while performing their duties in such auspicious occasions. Our chefs mainly prepare delicious dishes with less spice content keeping in mind the health of the expectant mothers. We mainly prepare those dishes which are favorites for such expectant mothers after detail consultation with the clients. While the clients are busy in receiving gifts and congrats from the guests we plan to offer superb meals to produce impression in the mind of such guests. 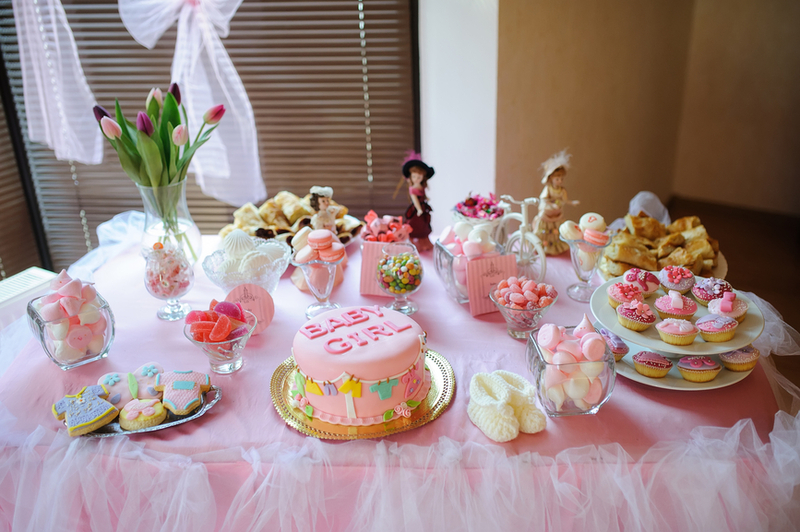 The most notable item that our team serves in such occasion is a special shower cake for the expectant mothers to enjoy the moment to the fullest extent. We also assist in planning appropriate background theme for such occasion and our specialized decorators always seek the recommendations of the clients while preparing the background setting. Our bartenders serve beverage which are quite less in intensity keeping into consideration the health of the mothers. Our staffs serve such preparation in artistic glass arrangements for visual pleasure of the guests. Our menu list mainly comprised of fried oysters, beefs and other delicious items within the budget range of the clients. We guarantee that guests would love to have more once they taste a slice of our preparations. We serve meals in eco-friendly plates which do not affect the health of the visitors. In case of unsatisfactory service clients must inform immediately for necessary actions. All our food dishes are examined by our tasters before being served to the clients. We know the importance of hygiene and so we import fresh quality foods from our trusted dealers only. Our service charge is quite affordable and we provide concessions to customers in humanitarian grounds sometimes. Our support staff is always ready to serve the clients in need of any consultations. Our support staff is available 24 hours for free consultations. Our site provides full selection of meals and decorating layouts which enable the clients to plan such arrangements as per the budgetary limits. We accept payments in paypaland ensure well protection of the personal information of the users. Clients can receive advance cost estimation on request. Clients can also visit our head office to consult while planning to host any private events. They can also mail their query in our address. They can send their useful feedback to improve our quality of service. They can share their experience of hosting such events with our help. Our sole priority is our clients and for them we are determined to provide exclusive range of catering services. Once you contact us we will provide you with an instant quote and you get a customized package for your event.